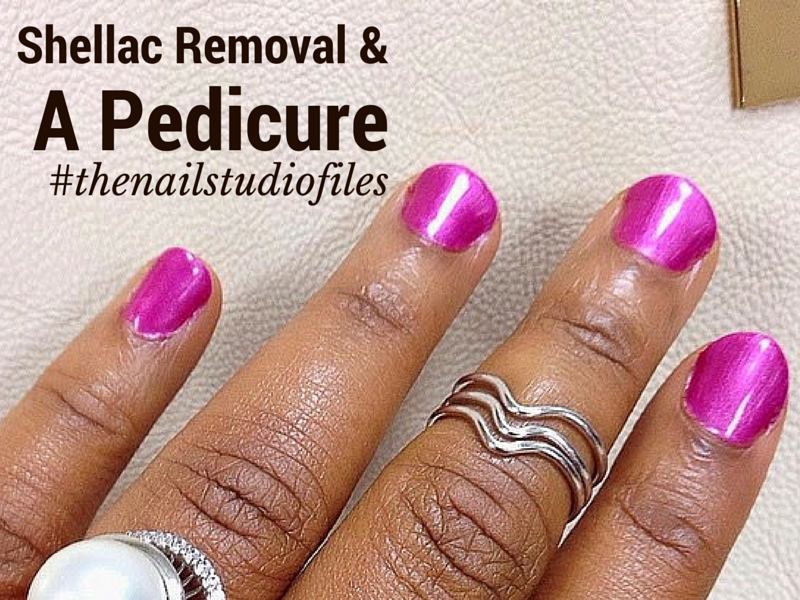 I'm back with another edition of #thenailstudiofiles today. Usually, when I head out to the Nail Studio to get anything done I am literally never prepared. It's at the last minute I ask, "what should I get done today?" and end up making the staff who attends to me leave much later than anyone else. This was 2 weeks after my first Shellac, I went in to get them removed and try something else. Then the total body detox was suggested to me and I decided to give it a shot. Well, unfortunately I couldn't get pictures as trying to achieve this feat might have resulted in my camera falling into the water, lol. I was warned darlings, I was warned. I will endeavor to explain it in detail. The detox process involves having your feet in the water and a machine strapped to your waist. I believe it is called a detox machine. Along with what is strapped to your waist is something else that goes into the water where your feet is. The machine goes on and the full time length is 1 hour I believe. During this process, the water can turn from a slight brown to actual blackish water...depending on the toxins which have been washed out of your body. Mine turned a slightly brownish colour so I wasn't too alarmed. 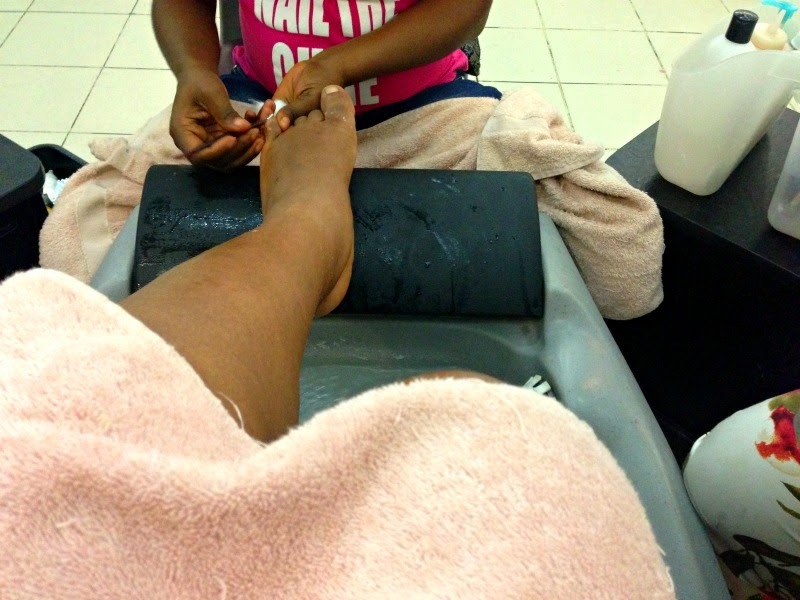 Right after the detox, I figured I'd get a pedicure done too and this proved to be a great decision as I do neglect my feet even though they do look super pretty sometimes. The Shellac on my nails had started to grow out with my nails and so I decided to take them off while the pedicure was going on. 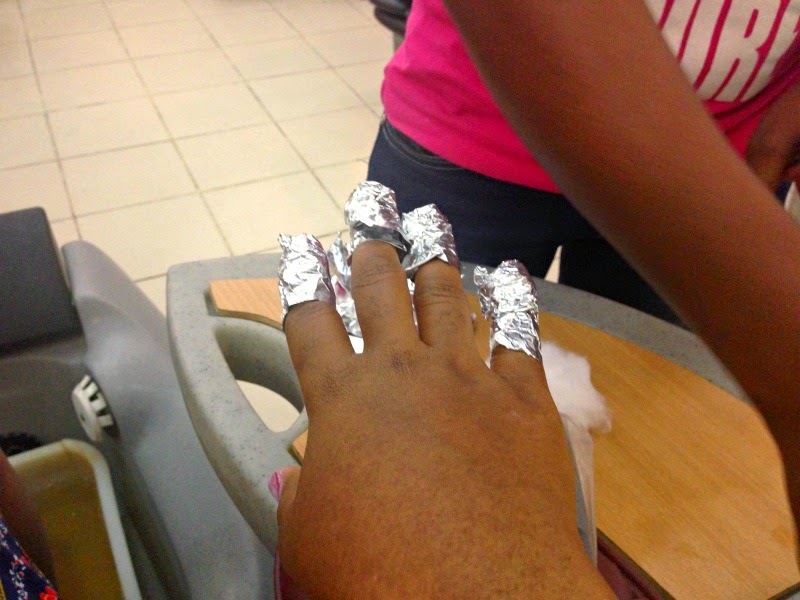 It involved this complex process of soaking cotton wool in nail polish remover and covering my nails with foil. 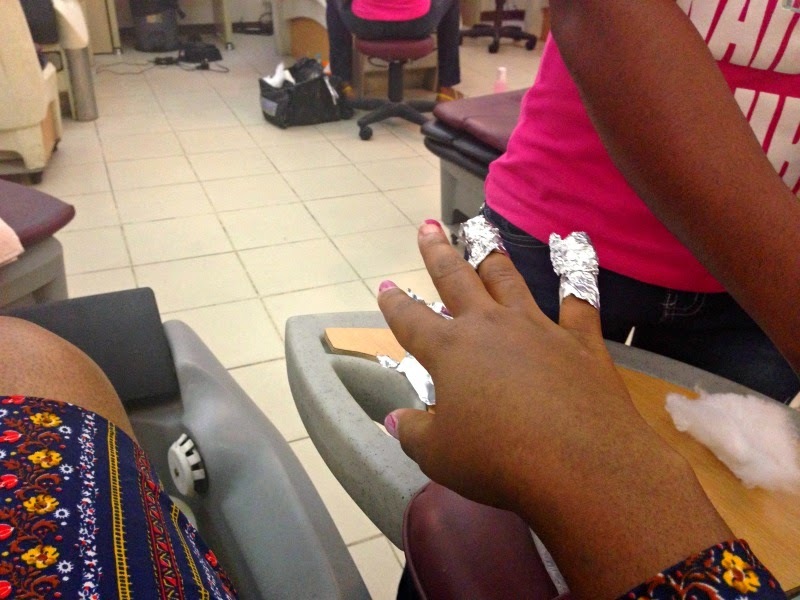 After about 15 minutes, the foil was removed and the rest of the shellac scrapped off with the handle of a cuticle remover.